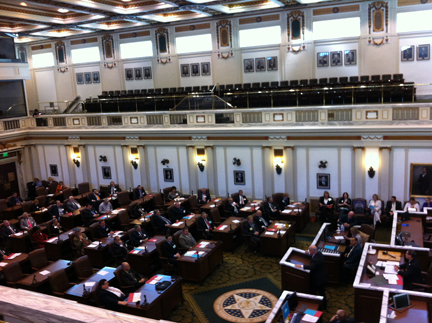 This past weekend, Garver served as the event partner for the second annual Oklahoma Congress of Mayors at the Oklahoma State Capitol in the House Chambers. Mayors and vice mayors from across Oklahoma came together to discuss key issues and share ideas relevant to municipalities. Garver provided financial support for the event that offers city leaders a way to have their voices be heard on important municipal topics. Michael Graves, Garver's water group leader and treatment plant operations specialist, also serves on a water advisory committee to the Congress of Mayors. He has been called on to provide information on regulations, funding, and other water and wastewater issues. The congress provides the mayors a time to debate and eventually present critical issues to the Oklahoma legislature on such topics as water resources and utility planning, transportation, public safety, economic development, municipal finance, and municipal operations.